Knowing where to go in Europe for a leisurely cycling vacation can be tricky. It helps to have good advice from the experts. Freewheel Holidays, the international specialist in self-guided bicycle vacations in Europe, suggests three routes for those new to multi-day bicycle touring who may prefer routes without steep climbs or descents. 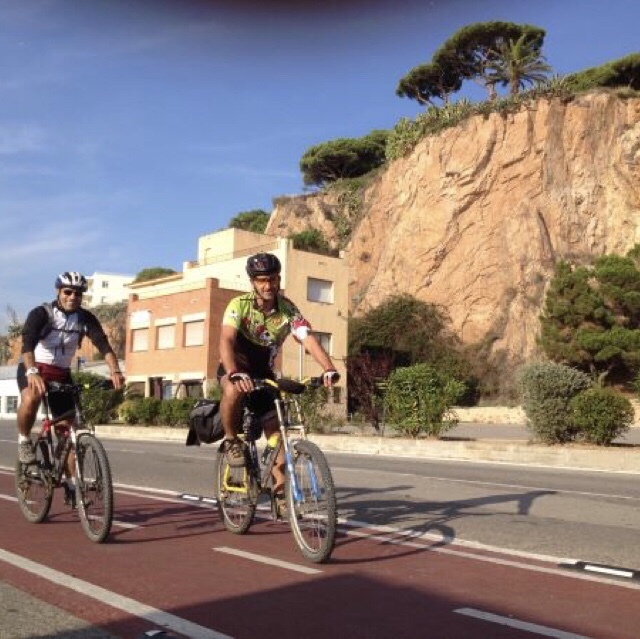 UK-based Freewheel Holidays arranges bicycle vacations along mainly traffic- and challenge-free routes. Because guests cycle across mostly flat terrain, the fatigue and frustration factors of challenging inclines are kept out of the equation. 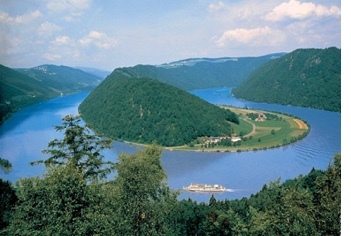 Following are Freewheel Holidays’ suggested itineraries for newbies in Spain’s Catalonia, along the Danube in Austria and in the Loire Valley of France. As with all of its self-guided vacation programs, rates (per person, double) include lodging with breakfast, detailed route notes, point-to-point luggage transfers, 24-hour emergency support, complimentary bike rentals and suggested attractions along each route. E-bike options are available on all of these itineraries. For additional vacation-by-bicycle suggestions see: http://www.freewheelholidays.co.uk/. 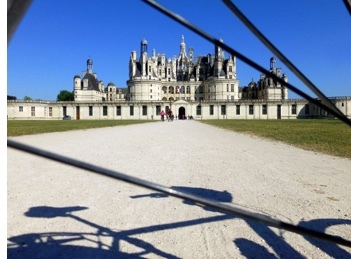 To check trip availability, make reservations, or to find out more about Freewheel Holidays’ leisure cycling tours call +44 (0) 161 703 5823, email info@freewheelholidays.com or visit www.freewheelholidays.co.uk. This entry was posted in Feature and tagged 360, 360 Magazine, Austria, bicycle, cycle, Danube Cycle Path, France, Freewheel Holiday’s, incline, itinerary, Loire Valley, Loire Valley Castles, Madison Smushkevich, reservation, Spain Catalonia, sport, terrain, tour, travel, UK, Vaughn Lowery on December 7, 2018 by wp360mag. 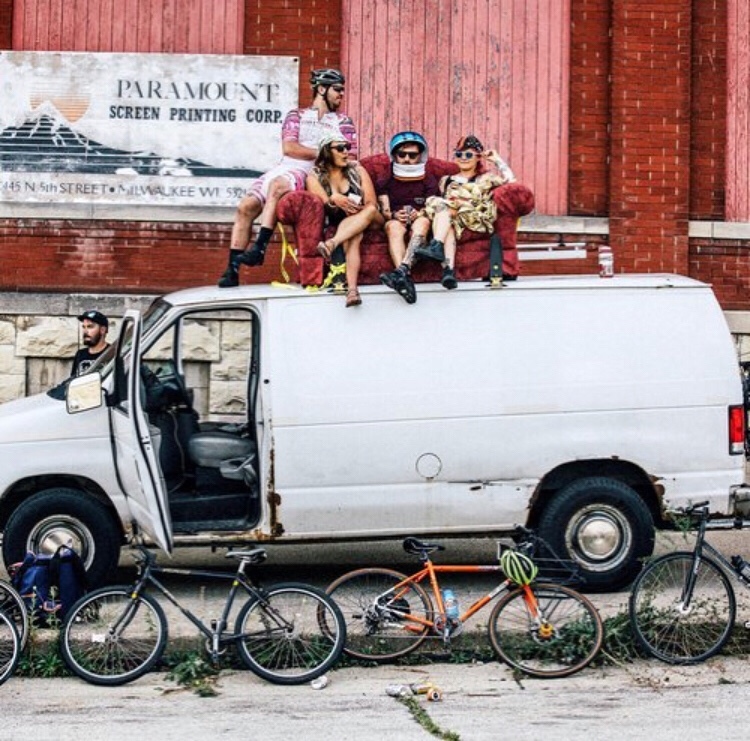 Every year, bike messengers from all over the continent gather at the North American Cycle Courier Championships to compete, carouse and commiserate. This is their story. Hunger pangs give way to an enthusiastic greeting as Nico Cabrera is among the last to arrive at a watering hole in Milwaukee’s East Side neighborhood. He’s welcomed by a cadre of misfits whose belligerence varies — one says he’s been drinking all day — each with unkempt hair. Most of the men and women haven’t seen the likes of a straight-edged razor in years. A guy wearing a Sponge Bob shirt has a mullet that looks straight out of “Boogie Nights” and another’s beard is so biblically long, there’s reason to question if it got caught in the wheels of the bicycle he rode to Good City Brewing, parked among some 200 others outside. All are dressed like they just raided a Goodwill store, except Cabrera, who dons the onesy of an Olympic cyclist. There’s a reason for that: He just rode the 90 miles up to Milwaukee from Chicago, where he lives. His shoulder-length hair, trim body and regular use of words like “rad” make him a better fit for a group of surfers on the left coast, though he was raised in suburban Chicago. Cabrera is the most recognizable among the group. He’s here for the North American Cycle Courier Championships (NACCC, pronounced “Nack”), a conclave of the best messengers from around the world, who participate in a grueling, hours-long race that calls for competitors to have marathon-like athleticism and navigating knowhow. Cabrera is the NACCC’s reigning champion and is fresh off a third-place finish at the World Championships in Montreal. This entry was posted in Uncategorized and tagged 360 Magazine, adventure, bicycle, bike messengers, biking, cycle, cycle championships, fun, Kelsey Welsh, outdoor, Red Bull, Red Bulletin, the Red bulletin, Vaughn Lowery on November 25, 2017 by wp360mag. This seaside fishing village with bustling waterfront offers a picture perfect getaway for travelers who seek food, wine and outdoor adventures on the coast in a gorgeous natural setting. Located along the Central California Coastline on California’s scenic Highway 1, midway between Los Angeles and San Francisco, Morro Bay offers an unspoiled slice of California. 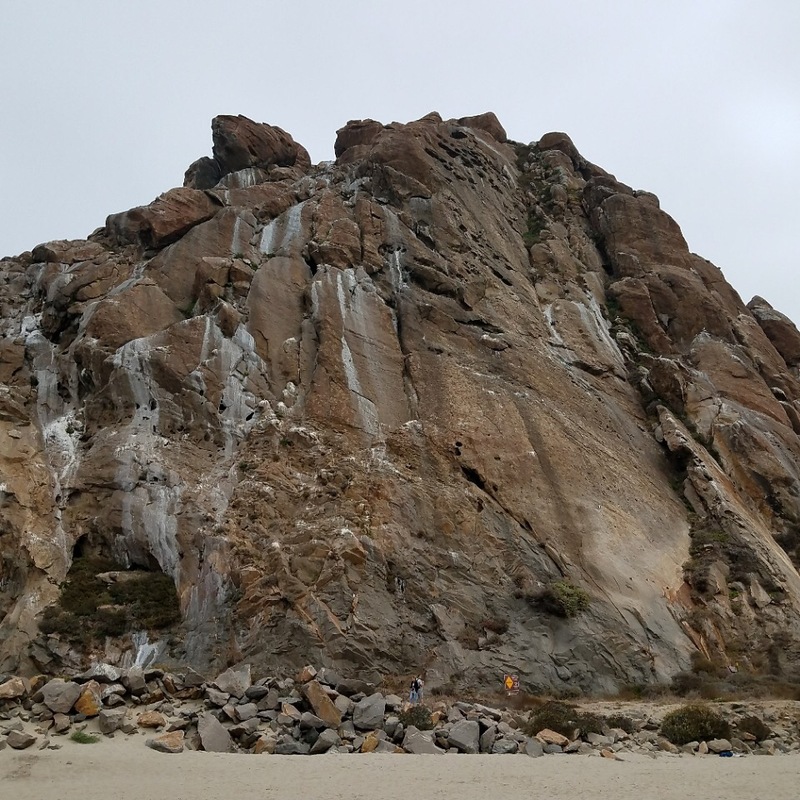 Sitting pretty between the beach and the harbor is the most recognizable landmark – Morro Rock. This amazing landmark welcomes travelers as they approach the city from miles away and is unforgettable. An ideal playground offering beaches, natural estuaries, kayaking, surfing, biking and hiking, fishing, golf and whale and bird watching, Morro Bay is an affordable destination for families, couples or groups. Located just minutes from world-renowned Hearst Castle, historic missions and breathtaking Montana de Oro State Park, Morro Bay also offers a myriad of year-round events including food, wine and music festivals, art fairs and car shows unique to the town. The city of Morro Bay started out as a small commercial fishing village in the 1950s, and grew to be a tourism destination built on living an active healthy lifestyle. Today, Morro Bay is home to a thriving fishing community, successfully leading the way in sustainable small fleet fishing practices nationwide. Major publications like the New York Times and National Geographic noticed and wrote about the quaint town’s sustainable fishing practices in 2014. Leading the way in Morro Bay’s sustainable fishing practices is oyster farming. It actually began in the early 1900s and has been a part of the town’s rich culture ever since. The cold, clean waters of Morro Bay produce two specific kinds. Pacific Gold Oysters are farmed by the Morro Bay Oyster Company, and are a beautiful, hardy species that develop a robust flavor with a hint of melon. This impressive 130-acre oyster marine farm can be seen by paddleboard, kayak or from a guided tour with Lost Isle Adventure Tours. Grassy Bar Oysters are becoming a popular oyster grown and harvested in Morro Bay, exclusively raised by the Grassy Bar Oyster Company. These oysters are medium sized and have plump and juicy meats with rich, briny watermelon flavor. Whether your adventurous spirit is extreme or serene, you will discover amazing outdoor activities in Morro Bay. For the adventurer looking for something exciting, sign up for a deep sea sport fishing expedition to catch the big one from one of the many charter boat companies that line the bay. Catch salmon, rockfish, lingcod, albacore or whatever is biting on daily fishing trips from Virg’s Landing Sport Fishing. They provide live bait in season and you can rent tackle if you need it. From kayaking, stand-up paddle boarding and canoeing, to sailing and surfing, there are many rental companies to keep the active adventurer happy and healthy in Morro Bay. Looking for a more low key adventure? There are plenty of hiking and biking trails to be found in and around Morro Bay. From the Black Mountain trail in Morro Bay State Park to hiking the Morro Bay sand spit in Montana de Oro, or the Cloisters Wetlands trails in North Morro Bay the natural beauty of this coastal community is breathtaking. Check out the Sub Sea tours for bay cruises and whale watching, or book an evening sunset or Saturday brunch cruise on the bay with one of the many other tour operators along the Embarcadero. You can even rent an electric boat and cruise the bay yourself! Or, head to the Back Bay for a round of golf at the Morro Bay State Park Golf Course. With amazing bayside views, this 18-hole course is a must do for the avid golfer. For the bird lovers, be sure to bring your binoculars. The Morro Bay National Estuary offers over 250 species of birds to discover. Morro Bay’s waterfront is a hub of activity that attracts tourists from around the world, local residents and anglers alike. Whether you are strolling the Embarcadero shopping and lunching, or heading out to experience one of the many water sport adventures, Morro Bay is an enchanting destination. Stroll along the Embarcadero and enjoy homemade salt water taffy, or the smell of fresh baked cinnamon rolls. Discover fresh fish markets offering fish and chips or steamed crab. Restaurants, wine bars, hotels, and shops abound. From the Embarcadero, take a walk out to Morro Rock, past the marinas, along the harbor walkway as you watch the boats come and go through the harbor mouth. Watch the surfers at the Rock, or have a picnic on the beach. Rent a kayak, motor boat or paddleboard and get on the water to explore the bay and appreciate the waterfront from the ocean. Take a walk up to Old Town, the quaint downtown shopping district a short walk up the hill from the Embarcadero filled with lodging properties, antique shops, one of-a-kind boutiques, jewelry stores, art galleries, coffee shops and restaurants. The Saturday afternoon farmers’ market on Main Street is alive with produce, local vendors and fun surprises. Stop in for a matinée at the classic historic Bay Theater. Hop on the Trolley and head up to North Morro Bay to check out the fabulous beaches that stretch for miles along Estero Bay. A great place for breakfast, lunch or dinner, North Morro Bay offers several destination restaurants, a Thursday afternoon farmers’ market, surf and coffee shops and great parks. Check out the distinctive surf shops, shell shops, home décor shops, wine tasting bars, live music venues and more in this amazing working fishing village. The Morro Bay Estuary Natural Preserve and its 800-acre wetland are home more than 250 species of land, sea, and shore birds, both migratory and resident and dozens of endangered species. This extensive marsh is located at the mouth of Los Osos Creek that opens out into Morro Bay, and is designated both a state and national estuary. Wildflowers bloom in the spring and green grass and brush cover the hills, offering a seed supply that attracts birds all year-round. Morro Bay hosts the Winter Bird Festival every January attracting bird watchers and photographers from all over the world. The great blue herons and the great and snowy egrets roost all year at the Heron and Cormorant Rookery located near the entrance of the museum. You can locate the rookery from the bay by the cluster of barren eucalyptus trees. Or you can view the rookery from the parking lot of the Inn at Morro Bay. You can walk to the site and observe these magnificent birds, watch courtship rituals, nesting habits, and, in spring, adults caring for their young. The Museum of Natural History – the only one in the California State Park system – opened in 1962. It serves between 45,000 and 50,000 people annually, including 5,000 school children in programs that support California’s required science and social studies standards. The museum offers new state of the art displays focused on the ecology of the Morro Bay Estuary. Several of the exhibits feature touch screens that provide visitors the opportunity to find out what the forces of nature are doing at that moment in time. Visitors can build a sand dune, operate the hydrologic cycle and dig into the food pit to create their own food chains. Entry fees are $3 for adults and free to children 16 and under. The Museum is open from 10:00 am to 5:00 pm every day of the year except Thanksgiving, Christmas and New Year’s Day. Agriculture and Aquaculture is alive and well in Morro Bay. From grapes, avocados and tangerines, to oysters and abalone, local chefs are in heaven preparing seasonally fresh caught fish and local produce. Meanwhile, visitors benefit from the amazing food and can also tour some of the farms. Visitors can get a behind the scenes look at a working avocado farm, the Morro Creek Ranch, boasting more than 27,000 trees that produce delicious Haas avocados of the highest quality. This family-owned agricultural operation started in 1978 and offers an avocado stand open to the public just outside of town. Morro Bay hosts two farmers’ markets in town. One in north Morro Bay at Spencer’s Market on Thursday afternoons, and the other on Main Street in Old Town Morro Bay, up from the Embarcadero, on Saturday afternoons. You’re likely to find a chef or two browsing the seasonal fare. Many local wineries offer behind the scenes tours of vineyards and crush facilities, so be sure to call ahead when planning a wine tasting tour. Morro Bay is also home to two of the area’s renowned oyster farms, the Morro Bay Oyster Company and the Grassy Bar Oyster Co, respectively farming delicious the Pacific Gold and Grassy Bar oysters. Situated on the pristine bay, the Morro Bay Oyster company is a 130 acre marine farm that can be seen by paddle board, kayak or from a guided tour with Lost Isle Adventure Tours. Morro Bay oysters are sustainable seafood, delicious and full of nutrition. They can be found at many local restaurants and food and wine events. Just north of Morro Bay in Cayucos is the abalone farm that produces local sustainably farmed abalone for restaurants and chefs to prepare, and for visitors and locals to enjoy. With thriving aquaculture and agriculture industries, fresh seafood and locally grown produce are in abundance in Morro Bay. Surrounding farms and vineyards yield a bounty of outstanding organic produce, fresh seafood and award-wining wines served with flair at Morro Bay’s renowned restaurants, wine bars and craft breweries. Windows on the Water is a well know local favorite for its seasonal farm to table menus, Oyster Tuesdays, fabulous views, and an incredible wine list. Sunsets don’t get much better than from this romantic dining room on the bay. They also have a fabulous wine and extensive sake list. Dorn’s Original Breakers Cafe on Market Street above the Embarcadero has been a Morro Bay favorite since 1942, offering breakfast, lunch and dinner with breathtaking views overlooking the Embarcadero and the bay. They offer fresh seafood, a great brunch and make a mean bloody Mary. Family friendly dining is abundant on the bay as well. 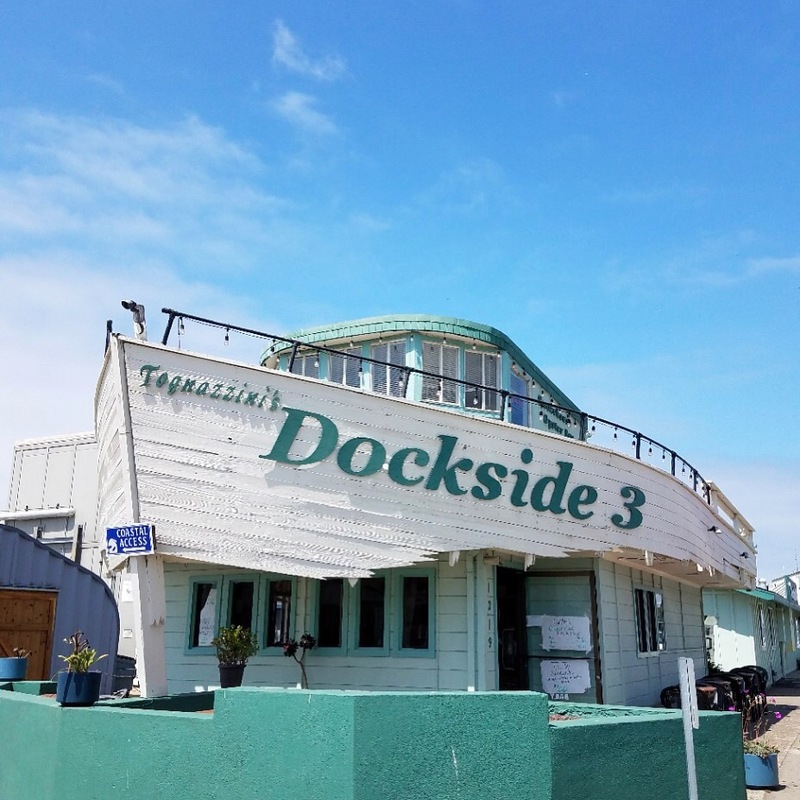 At Tognazinni’s Dockside, Too visitors can actually watch the catch of the day being unloaded as they sit under patio umbrellas listening to live music while eating fish tacos, smoked salmon or fresh tuna from this restaurant and fresh seafood market. Oh, and they are super pet-friendly as well. The family-friendly Hofbrau der Albatross restaurant offers patio seating right on the bay with a perfect view of Morro Rock. Diners can watch the sea life frolicking in the bay as they dig into their freshly carved roast beef the restaurant has been known for serving for over 35 years. And don’t miss Giovanni’s Fish Market right on the bay, offering their famous giant calamari sandwich, fish taco Tuesdays and fried fish on a stick – a favorite for kids. This family owned fresh fish market has been a main stay on the waterfront for over 25 years. 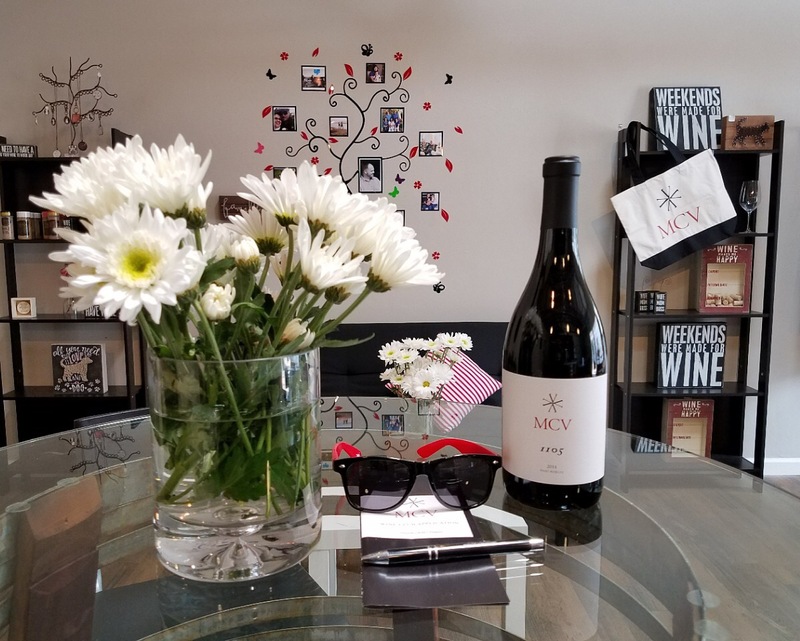 Located on the bay with magnificent views of the harbor, the Morro Bay Wine Seller has been providing exceptional service and a comprehensive selection of local and regional wines to wine enthusiasts from near and far, for taste or purchase, for over a decade. They offer specialty cheeses, olive oils and craft beers to pick up and take with you. If you are looking for a wine bar that offers great food, stop by Stax Wine Bar & Bistro for a bite on the bay. Come relax by a fire on a plush leather couch and choose from over 150 local and imported wines with many offered by the taste, glass and bottle. Enjoy lunch or dinner from the Tapas Menu featuring gourmet cheeses and charcuterie, Panini sandwiches, prawn cocktails, oysters on the half shell, and more. Looking for craft brews? Look no further. The Libertine Pub offers patrons a cozy atmosphere, live music and an expansive beer selection, a great place to celebrate American Craft Beer Week each May. They focus their brews on barrel aged “wild ales” and offer up to 48 craft beers on tap at all times, so even the seasoned beer geek can satisfy their palate. When you’re REALLY hungry, you might be interested in trying their fish and chips burrito, deep fried in their Lagunitas IPA beer batter. It’s a legend on the waterfront. Aside from great restaurants serving a great variety of award winning local wines and a fun sampling of wine bars dotted along the Embarcadero, Morro Bay is uniquely situated between two world class wine regions located in San Luis Obispo County. Nestled in the Santa Lucia Mountains, just 30 minutes northeast of Morro Bay is Wine Enthusiasts 2013 Wine Region of the Year, Paso Robles. In the mid 1990’s Paso Robles was home to 35 wineries and 13,000 acres of grapes. Today there are more than 250 wineries, many of whom are small boutique producers dotting the countryside amongst Paso Robles’ 32,000 planted vineyard acres. Although the region is largely known for its stellar Rhone varietals and big Cabernets, there are more than 40 wine grape varietals produced – from Spanish to Italian to Bordeaux and Rhône, including the area’s heritage variety Zinfandel. Wine lovers can visit a large variety of tasting rooms, many of which offer picnic areas and specialty winemaker dinners. Just 30 minutes to the southeast of Morro Bay is SLO Wine Country, which includes two small adjoining American Viticultural Areas, the Edna Valley and Arroyo Grande Valley. This wine region boasts an average distance of just five miles from the Pacific Ocean, resulting in prevailing marine conditions that are among the most pronounced of any wine region in California, forging a unifying wine quality that is native to SLO Wine Country. Cool-climate varietals such as Chardonnay and Pinot Noir excel here and the ocean proximity exerts a moderating effect minimizing temperature swings so that growing conditions are rarely hot or cold. The result is an extraordinarily steady growing season that fosters balanced ripening and consistent quality from vintage to vintage. Paso Robles and SLO Wine Country are home to many wine touring companies that will come to Morro Bay and pick you up from your hotel, B&B or vacation rental. For a family-friendly California adventure head to Morro Bay where moms, dads, grandparents and little ones will enjoy a fun and comfortable getaway with a wide range of activities and places to stay. There are over 30 hotels and motels to choose from, some featuring free breakfast and convenient amenities such as mini-fridges and microwaves. From May through October, a seasonal trolley runs from the Embarcadero, to Morro Rock, up to Old Town, to the State Parks by the Back Bay Marina, and out to North Morro Bay so there is easy access to anywhere you want to go, no matter where you stay. In fact, the picture-perfect community of Morro Bay is a breeze for hotel guests to navigate thanks to the new FREE trolley service. The Morro Bay Tourism Bureau (MBTB) has partnered with the city to sponsor the trolley for the busy tourism season starting Memorial Day Weekend and going through the first week of October. 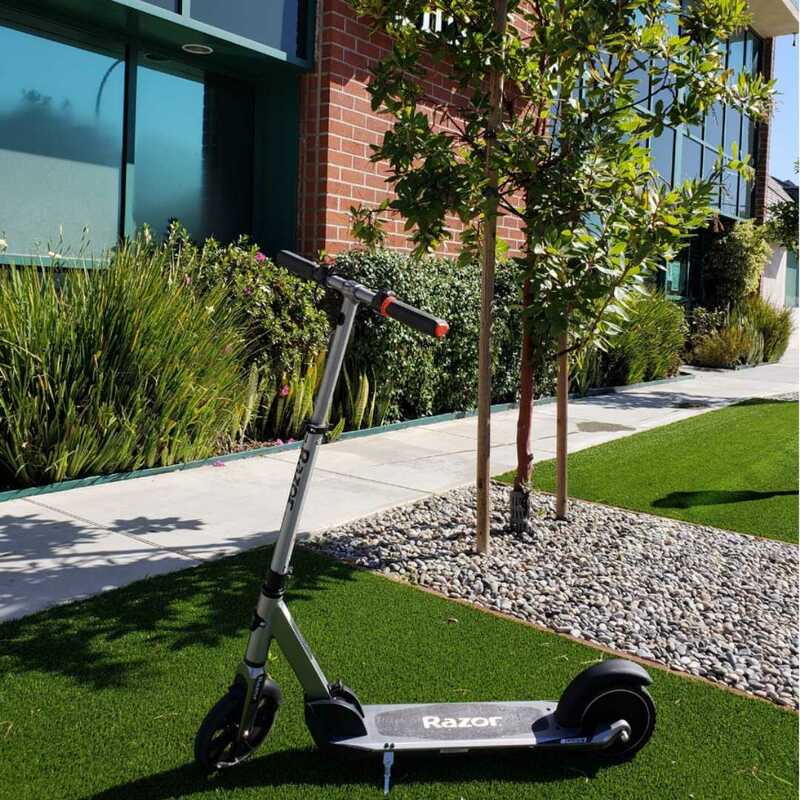 Within this partnership, all guests staying at Morro Bay hotels and motels will be able to ride for FREE. Spend a day exploring the bustling waterfront filled with classic places to stop like the Shell Shop, on the Embarcadero since 1955, or Crill’s Salt Water Taffy stand, in Morro Bay since 1970. Kids of all ages love the Sub Sea Tours where they can ride around the bay in a semi-submersible boat to get a feeling of what it’s like to be underwater without donning a wetsuit. Rent kayaks or a canoe and watch the kids light up when encountering wildlife like sea otters, pelicans or seals. Rent kites and a surrey from Farmer’s Kite Shop and bicycle out to Morro Rock along the harbor walk to fly your kites on the beach. Jump on the trolley and head up to Morro Strand State Beach and spend the day beach combing, building castles and swimming in the ocean. Oh, and don’t miss the Morro Bay Skateboard Museum featuring skateboards and memorabilia from the 1930s to present day. Every member of the family will enjoy Morro Bay no matter your age! The whole family can relax and take in all the natural beauty of this unique fishing village. Art and culture take center stage in the seaside village of Morro Bay. The Art Center in Morro Bay is one of the largest California Central Coast venues for exhibiting original fine art by local artists, boasting two large galleries. The Morro Bay State Park Museum of Natural History is regally perched on a hill overlooking the Morro Bay Estuary. In addition to amazing panoramic views of the coastline, the view from the museum includes the world-famous Morro Rock. Featuring state-of-the-art interactive exhibits, this is the only museum of its kind in the California State Park system. The Morro Bay Skateboard Museum is the place where visitors can see the complete history of skateboarding – from the early 1930’s to present day. More than 200 skateboards are on display from all eras with rotating exhibits from extensive private collections. And there are the many shops and boutiques that carry the works of local artists. Now visitors can add the Morro Bay Mural Mile Walk to their itineraries. The Morro Bay Mural Mile tour is the perfect way to tour the downtown and waterfront areas, enjoying the 23 murals that depict the area’s natural beauty, its history and the amazing array of sea life beyond the shores. Morro Bay offers a wide variety of cultural events and exciting things to do on California’s Central Coast. From on-going events like cruises, whale-watching tours, brunch and dinner cruises, and fishing charters departing daily from the Embarcadero to the annual Surfboard Art Festival, Bird Festival, Kite Festival and Art in the Park Fests, there’s something for everyone in Morro Bay. Stay in the know on what to do in Morro Bay by checking this calendar regularly. BFF Getaways – Two Legged and Four! Morro Bay, CA is the ideal location for a best friend’s getaway along California’s Central Coast. From girlfriend getaways to bro-cations and pet-friendly adventures, this quaint seaside village is the picture-perfect destination offering everything from golfing, fishing, and hiking, to restaurants, shopping, wine tasting and plain relaxing. The variety of lodging options in Morro Bay offers BFFs the opportunity to stay in beach front vacation rentals, luxurious inns, leading brand hotels, reliable budget and specialty accommodations that fit any budget. Girlfriend’s getaways are perfect for Morro Bay with its fabulous water front, extensive list of restaurants, boutique shopping, wine bars and relaxing spas – not to mention amazing beaches. Start the morning off taking a nice speed walk down the Embarcadero and out the harbor walk to Morro Rock, a great way to get in exercise before the day really begins. Reward you and your BFFs with a girl’s brunch at Dorn’s, sitting on the patio overlooking the Embarcadero and the bay planning out what adventure to tackle next. 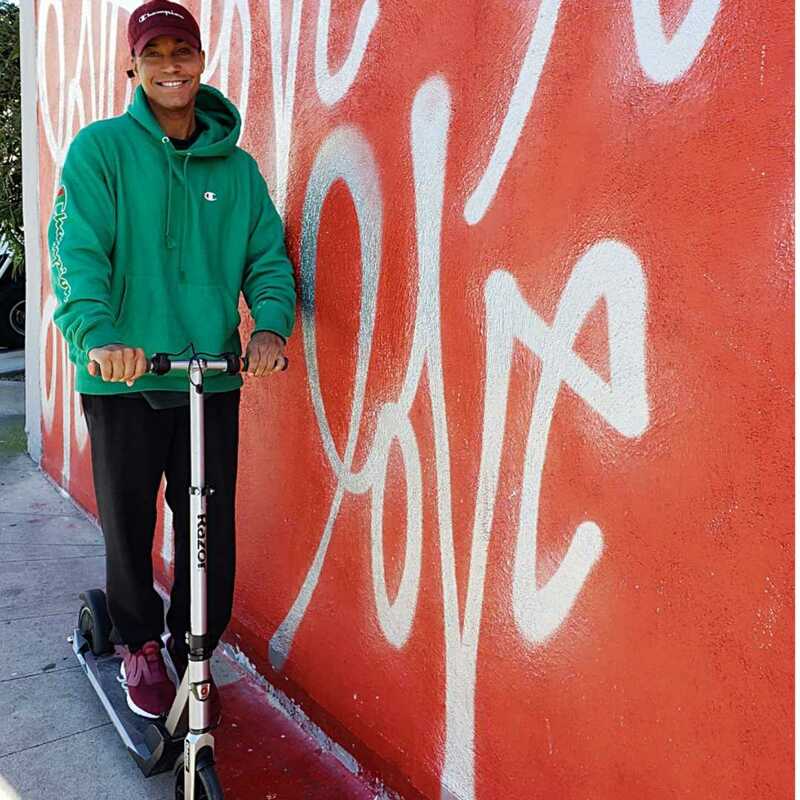 From horseback riding on the beach to kayaking on the bay, to renting surreys and riding around the Embarcadero, there is no shortage of things to do. And, then there is wine and food. Located 30 minutes from Paso Robles and Edna Valley Wine Countries, wine tasting tours are a great way to spend some girl time with your BFFs. Paso Robles and SLO Wine Country are home to many wine touring companies that will come to Morro Bay and pick you up in front of your hotel, B&B or vacation rental. Or, stop by the many wine bars located in Morro Bay for some waterfront wine tasting. Morro Bay also offers everything for the bro-cation from exciting deep sea fishing and whale watching adventures to a challenging round of golf at the Morro Bay Golf Course, offering incredible bayside views. When the tide is right, Kayaking through the channels in the Back Bay Estuary is a wildlife adventure not to be missed. When it’s time for a hearty meal and craft brew, head over to The Libertine Pub, offering an expansive beer selection and a great menu of man grub. They focus their brews on barrel aged “wild ales” and offer up to 48 craft beers on tap at all times, so even the seasoned beer geek can satisfy their palate. Their fish and chips burrito, deep fried in their Lagunitas IPA beer batter is a legend on the waterfront, sure to satisfy the hearty adventurer. Or, stop by Giovanni’s Fresh Fish Market and enjoy their blue crab sandwich or fish taco Tuesdays while you sit out on the patio. And, you don’t need to leave your four-legged best friend at home when you travel to Morro Bay! From hotels and restaurant patios, to beaches, parks and wineries there are plenty of businesses welcoming pups with open arms. The Inn at Morro Bay located on the water next to the Morro Bay Golf Course offers a warm welcome to Fido’s and their owners. From the Best Western El Rancho, and the Bayfront Inn, to the Beach Bungalow and vacation rentals, there are dozens of pet friendly accommodations to serve every budget. Pet-friendly restaurants on the water front offer great bayside views and yummy treats for owners and their pups. From Giovanni’s and Dorn’s to Frankie and Lola’s and the Bayside Café, there are a dozen restaurants with patios that offer pet friendly choices. One of the few off leash dog beaches along the Central Coast of California is just north of Morro Bay on the way to Cayucos. This two mile stretch of sandy shoreline is a great place for a playful afternoon or a full beach day with your BFFs. With majestic Morro Rock casting its own shadow on the bay at sunset each night, Morro Bay offers couples a blissful, off-the-beaten-path romantic getaway. Morro Bay exudes romantic vibes and a dreamy waterfront and marina, dotted with boutique lodging options with views right on the bay. Dozens of cozy hotels, Inns, and B&B’s are within walking distance to the shore offering great amenities that serve any budget. Think horseback riding on the beach, or renting a surrey to ride along the Embarcadero with your honey. Take a romantic stroll along the harbor walk out to Morro Rock to watch the sunset or have a picnic on the beach. Romance is whatever you make it. Kayak the bay out to the sand spit with a bottle of wine and spend the afternoon frolicking on the beach or have a romantic lunch or dinner at one of the many restaurants and wine bars that line the Embarcadero and bay. A variety of wedding venues like The Inn at Morro Bay, The View at Morro Bay Golf Couse and the Garden Wedding Chapel at Coalesce Bookstore Old Town Morro Bay are known to offer amazing destination weddings. And, of course, Morro Bay offers miles of beautiful sandy beaches offering unique scenic backgrounds for your unique wedding day. Whether planning an engagement, wedding, honeymoon or just needed time away, Morro Bay has something romantic for everyone. Morro Bay is conveniently located on the Central Coast – close to everything and far from ordinary. Beaches and hiking trails run for miles north and wind their way up Highway 1 from Cayucos to Cambria. Morro Bay is also close enough for a day trip up to Big Sur for hiking and a nice lunch. Just north about 40 minutes is the area’s most well-known attraction Hearst Castle State Park, located just south of the Piedras Blancas Elephant Seal Rookery, the largest on the Pacific coast and, and the Piedras Blancas Lighthouse near San Simeon, which is open to the public for tours on Saturdays. Hearst Castle offers not-to-be-missed daily tours for only $25, and the Elephant Seal Rookery offers docent lead walks and is open every day for free. The most active times of the year are during breeding season, from December through February when almost 4,000 pups are born in just a few weeks. 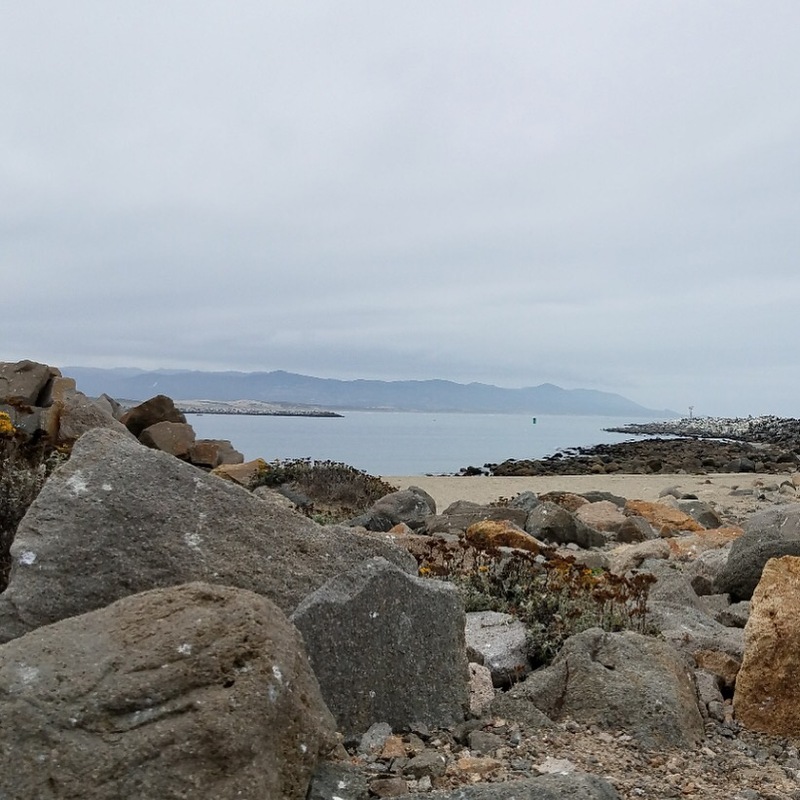 Located south of Morro Bay, in Los Osos, is Montana de Oro State Park, offering hiking access to the famous sand spit that creates the western boarder of the Morro Bay harbor. This park features over 8,000 acres of rugged cliffs, secluded sandy beaches, coastal plains, streams, canyons, and hills, including the 1,347-foot Valencia Peak. There are also mountain biking and equestrian trails. The best-known beach is Spooner’s Cove, which offers a beautiful beach with endless tide pools. The park’s name means “Mountain of Gold” and comes from the golden wildflowers that bloom in spring. This seaside fishing village with bustling waterfront offers a picture perfect getaway for travelers who seek food, wine and outdoor adventures found in a gorgeous natural setting. Located along coastal Highway 1 in San Luis Obispo County just south of Big Sur, midway between Los Angeles and San Francisco, Morro Bay offers year round activities in an unspoiled slice of California. Recently named as a Bicycle Friendly Community by the League of American Bicyclists, outdoor activities are a way of life. From ocean-side golf, kayaking, sailing, hiking, fishing, surfing, biking, and bird watching, to kite flying, shopping, dining, wine bars, local craft brews and miles of unspoiled beaches, there is something for everyone. This entry was posted in Design and tagged 250 wineries, 360 Magazine, accommodations, adventures, attraction, bay, Bayside Cafe, beach, bicycle, Bicycle Friendly Community, bicycling, Big Sur, Bird Festival, boyfriend, breakfast, brunch, California, candies, castle, Central Coast, chapel, cozy, crill's salt water taffy, deep sea fishing, Diana Macaraeg, dinner, Dorn, elephant, elephant seal, Embarcadero, equestrian, family, Fiona Blue Gallery, fish, food, Frankie and Lola, fresh, fresh fish market, getaway, Giovanni, girlfriend, Gray's Inn & Art gallery, grinding, Hearst Castle State Park, hiking, horseback riding, hotel, John Ramos, John Ramos Art Gallery, Kite Festival, lunch, market, MBTB, menu, Montana de Oro State Park, Morro Bay Golf Course, Morro Bay Mural Mile Walk, Morro Bay Skateboard Museum, Morro Rock, Motel, mural, museum, organic, painting, park, Paso Robles, pet, pet-friendly, renting, restaurant, romance, salt water taffy, seal, shells, shells shop, skateboarding, skating, SLO wine country, snack, State, stax wine, Surfboard Art Festival, The Art Center, The Libertine Pub, the morro bay, Vaughn Lowery, Venue, wedding, wedding venue, whale watching, Wine Enthusiasts 2013 Wine Region of the Year, Wine touring companies, world renowned on August 17, 2017 by wp360mag.